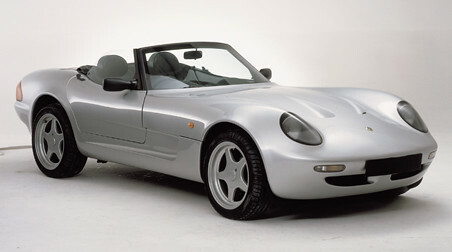 LotusTalk - The Lotus Cars Community > Lotus Discussions > Other Lotus Models > Alternate body styling for Lotus 7 variants? Alternate body styling for Lotus 7 variants? Has anyone taken the venerable Seven series and significantly changed the exterior styling to something more contemporary? I love the raw concept but I don't care for the boxed out back end or the old fashioned bucket headlights and fenders. It turns out a little more searching would find this... Pretty cool! I say ditch the old school cars and get a Seven cloned, re-imagined. How would you get in without roasting your nuts? Wow, those are really extreme! The Brunton Stalker is about halfway there, with the raked windshield, the projector-beam headlights, and the slatted fenders. They use the Buick Turbo V6. The Brunton, like the 7, still looks squared off. It's as if the designers were merely throwing some mostly-flat sheet metal over the frame as an afterthought. It all seems a shame for a car with such a great pedigree. Last edited by GR82DRV; 02-15-2015 at 12:24 PM. Yeah, I think that's exactly what you're looking for. Does anyone know if any have made it to the US? The Caterham 21 is a two-seat roadster designed and hand built by Caterham Cars in the 1990s. It was based on the mechanicals of the Caterham 7 and was intended to be a more practical version of that car with more conventional sports car styling. Does anyone know if any have made it to the US? Caterham's final GTO car ended up with Great Lakes Caterham in Michigan, US and has now been fitted with the RST-V8 engine, now used in Caterham's top-of the line Levante model (supercharged to 500 bhp). The Toniq. This was mine some years back. I will probably get one more imported from UK. This was originally a design by a University to create a modern styled interpretation of the Seven. Last edited by Randy Chase; 02-16-2015 at 08:43 AM. This has been referred to as a modern Seven, and in fact is designed by the people who ran Caterham (and were some of the main guys at Lotus prior to that). It uses all the same philosophies of a Seven but in a modern package. The main difference is that it is midengined and traded off the tube frame construction for an Elan-like aluminum extrusion spine and a carbon fiber tub to increase performance while reducing costs. The Zenos E10. Mine is in build right now and will be shipped over next month. Westfield's Mega S2000 has a more modern rear end style. I like it better than the traditional box. The Donkervoort is probably one of the best looking re-imagined Seven out there to date.